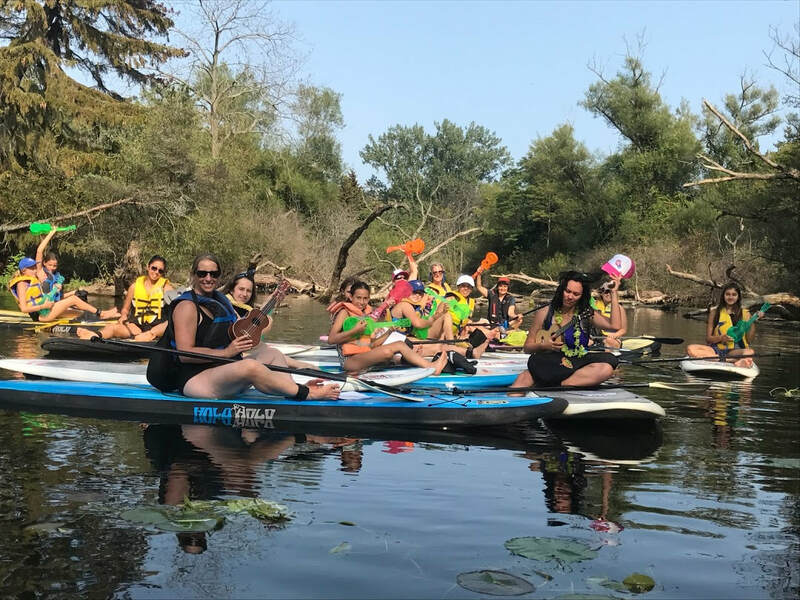 Make waves at SUP & Sing with Inga Breede. 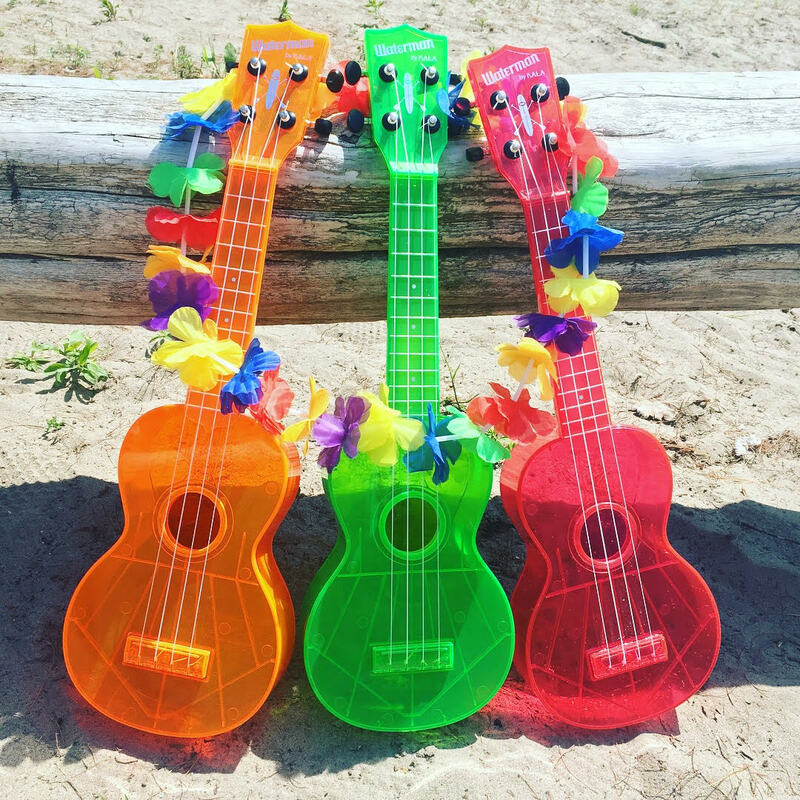 Join The Fruity Ukuladies' Inga Breede on a 2 hour SUP tour on the island, accompanied by a ukulele and sing-along session on the water! 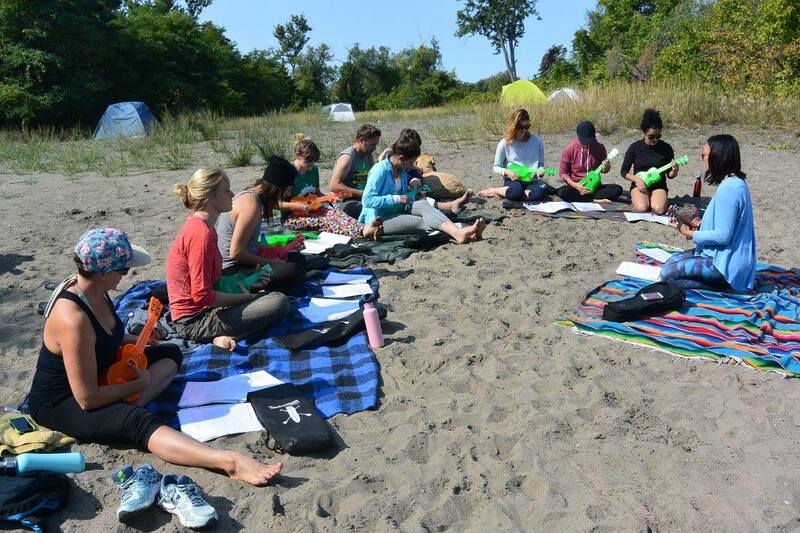 All levels of paddlers and players are welcome to join, and there will be a quick introduction to SUP and basic ukulele chord lesson on land before we head out. Arrive early to the ferry docks to ensure that you get to the launch site on time. Take the Wards Island Ferry. For details on how to get to the launch site, see our contact page. ​​Classes are meant to be 2 hours in duration. We have lots of fun, so we may stay on the water a little longer than posted. You are free to paddle to shore earlier than the times listed. Let your instructor know if you need to be back right on time. Please note that ferry times may change without notice. We are not affiliated with the Jack Layton Ferry Terminal and offer the schedule below to the best of our knowledge. Alternatively, you can take a water taxi. We have some companies listed on our contact page.